Losing one or more teeth doesn’t only damage your beautiful appearance – it can have severe repercussions for your oral health and your overall wellbeing as well. 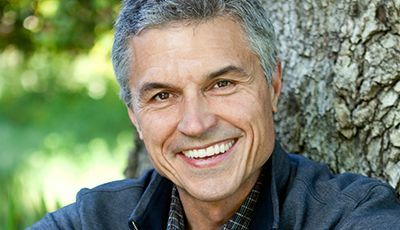 At Dentistry by Design, we offer multiple tooth replacement solutions for patients to choose from, but Dr. Luke Lumpkin is likely to recommend dental implants in most cases because of their comprehensive structure and impressive function. We want your newly completed smile to be just as beautiful as it once was! Don’t hesitate to contact our Bartlesville, OK office today if you’re ready to schedule your tooth replacement consultation appointment. Dr. Lumpkin and his team will evaluate your smile and help you find the best tooth replacement option to restore your healthy, beautiful appearance and dental function. While traditional reconstructive options tend to only bother with recreating the crown (the white portion visible above the gum line) of a natural tooth, dental implants take a necessary step further by also providing a new “root” for your tooth. While the tooth root is not visible, it does have an important function – stimulating the jawbone. Without one in place, patients can experience gradual deterioration of the bone, which may lead to reduced oral health and cosmetic appearance over time. By replicating the entire tooth structure, patients are able to reap valuable benefits for both their oral health and sense of self-confidence. Dental implant supported replacement teeth are completed over the course of two phases of treatment. The initial phase of treatment is completed by a trusted specialist in the area. They will make a small incision in the gums and place the implant post into the jawbone. Then, we will personally handle the creation of your customized restorations, which will be attached on top once the implants have successfully integrated with the natural tissue. What Happens After Dental Implant Placement? Following your dental implant placement, you’ll need to wait for three to six months as the implant fuses with the jawbone. During this process, we may place a temporary tooth replacement if you have significant tooth loss or are missing a front facing tooth. What Type of Dental Restoration do I Need? Implant-retained dental crowns: These all-ceramic restorations are designed to cover individual implants and blend in seamlessly with surrounding natural teeth. 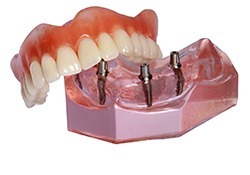 Implant-retained bridges: These appliances are very similar to their traditional models, with one significant difference – they’re designed to securely attach over two implants, one at each end, providing a stable foundation for your fixed bridge. The implant-retained bridge is also beneficial compared with traditional bridges because no healthy tooth structure will be removed. Implant-retained dentures: Using three to six strategically placed dental implant posts, we can anchor partial or full dentures. Traditional dentures only restore about 20% of chewing ability, but implant-retained dentures can replace as much as 70% of your dental function, allowing you to eat a wider variety of foods. How do I Care for My Restoration? In most cases, you can continue to brush and floss your implant supported dental restoration as usual. If you have an implant retained partial or full denture, you may need to use a specialized flossing tool or water flosser to remove plaque buildup that can accrue between the gums and denture base. 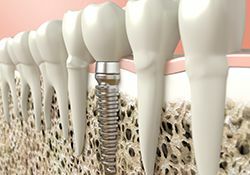 One of our team members will help to demonstrate the best at-home care techniques to help you keep your implant restoration whole and healthy. During regular dental exams, we’ll check the fit and function of your implant supported replacement tooth or teeth and help you keep your smile healthy and functional.